We are excited to announce that we are launching our Kickstarter and Steam Greenlight campaigns on October 1st at 6:00pm EST. The Kickstarter is planned to run through November 3, 2015 10:00pm EST, with a funding goal of $10,000. We are looking to raise funds to bring A Tofu Tail production to completion, as well as spread the word of our quirky puzzle game. 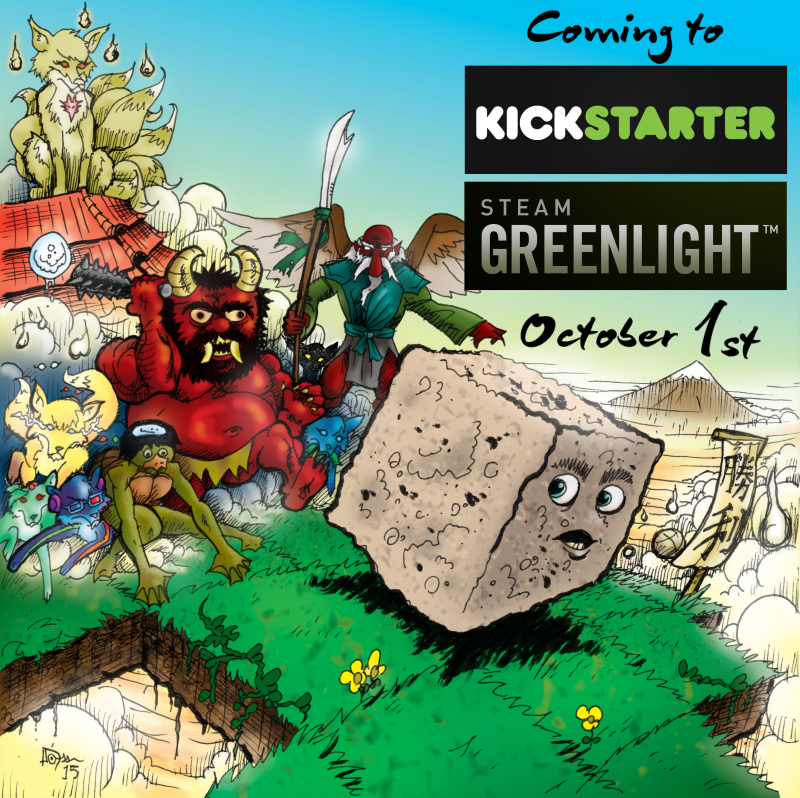 In order to have a successful Kickstarter campaign and get greenlit and have A Tofu Tail on Steam, we need your help! We have put a quick page together to help everyone support us. If you would, please click on this link: Support alchemedium! Also, if you could send this link to others, and ask the same, we would be super appreciative! During the last weekend in August, we traveled to Seattle for both SIX 2015 and PAX Prime. 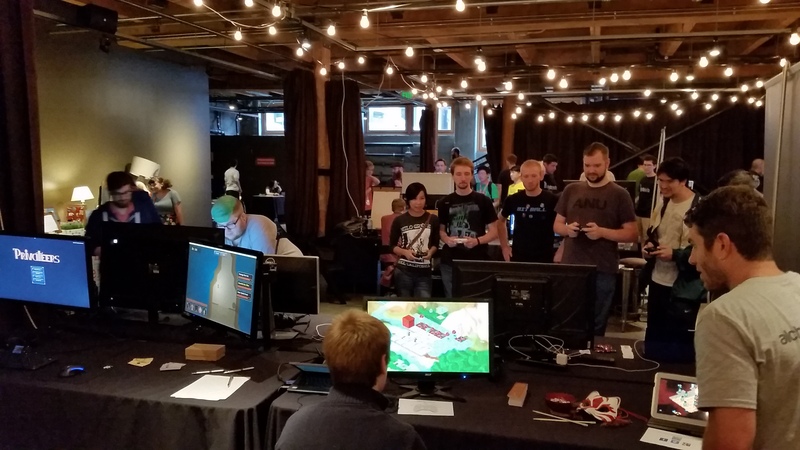 This was the first time that any of us had been to PAX Prime; but having been to PAX East a few times, we thought we had a good idea of what to expect. We were wrong. This was bigger and crazier than the various indie shows we have been to, and even bigger than PAX East! 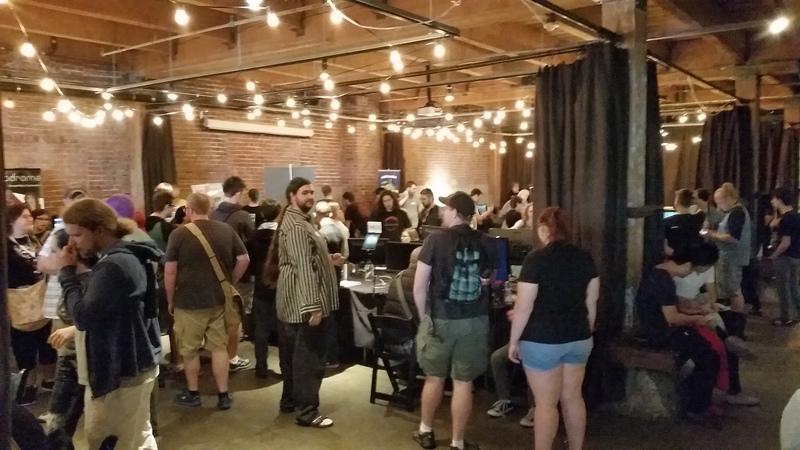 The city, the people, and the indie community as a whole were all absolutely awesome. Apparently there are several hundred development teams located in the Seattle area. This is crazy awesome! The Seattle Indies Expo and the after SIX after party ran from pretty early in the morning until 10pm, and needless to say we were pretty exhausted by the end of the day! Regardless of the fatigue, the event was amazing, with all kinds of indie game lovers perusing the various games that were showing there. As a final note, the SIX team was super helpful and the space had a really positive atmosphere – this was one of the best showings of A Tofu Tail that we have had and we owe it all to them! 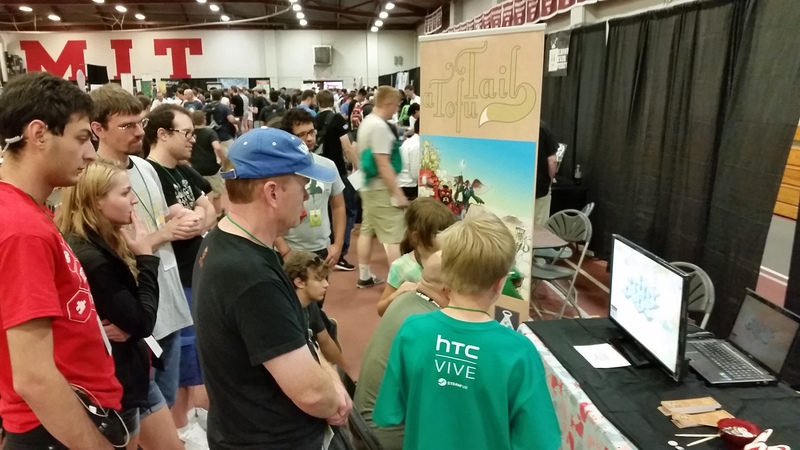 This past Saturday we also had a booth set up with A Tofu Tail as an Indie Sponsor at BostonFIG. 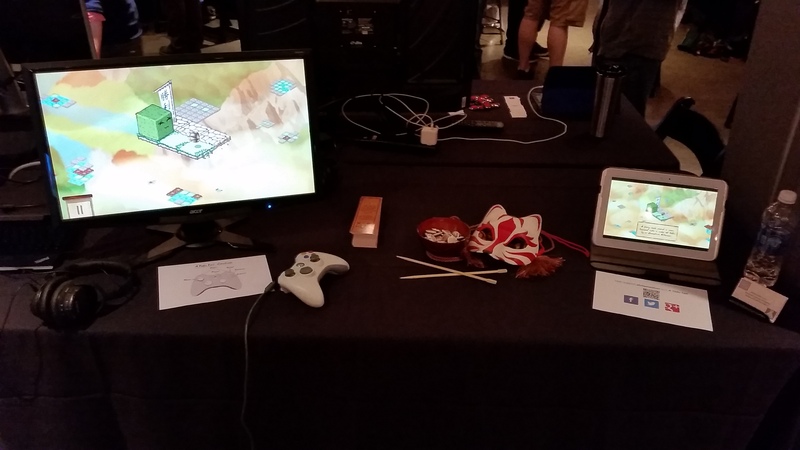 BFIG 2015 featured over 100 indie games in their Digital Showcase and Tabletop Showcase, in addition to the various sponsors! 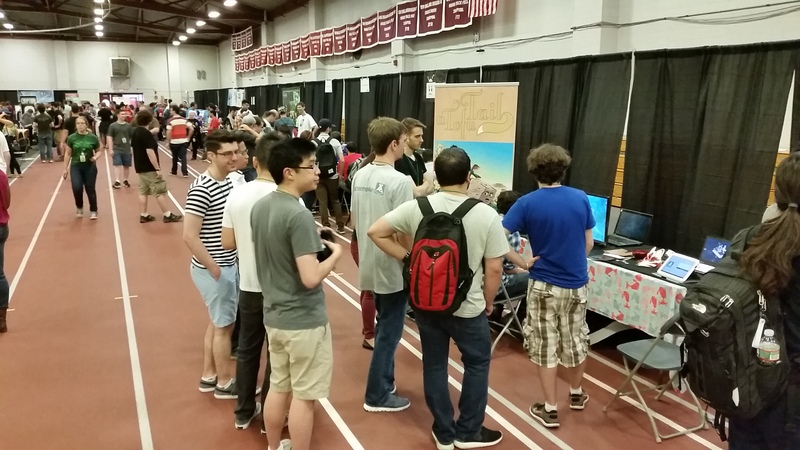 The festival took place in the MIT Johnson Athletic Center, and they needed it to house the crazy large crowd! We barely had a second free of people checking out A Tofu Tail… It was amazing to see people enjoy this thing that we had created! So, we are going to be crazy busy over the next weeks with marketing, managing the Kickstarter and Greenlight pages, on top of working on production of A Tofu Tail. We will be sure to keep you updated on progress and upcoming events! Also here is the Support alchemedium link again if you want to help us out by clicking on it and sending it to others as well. Thanks a ton, all, and keep on ploppin’!